Cross River University of Technology – CRUTECH – may be heading for another round of crisis unless prompt amicable understanding is reached between staff of the university and their employers, over payment of salaries. Already, leaders of staff unions in the university have rejected February’s salaries as proposed by the university’s administration for payment to staff. The unions are Academic Staff Union of Universities (ASUU), Senior Staff Association of Nigerian Universities (SSANU), National Association of Academic Technologists (NAAT) and Non Academic Staff Union (NASU). Dr Emmanuel Ettah, Chairman of CRUTECH’s branch of Academic Staff Union of Universities (ASUU) informed LinCornellah’s blog that they rejected the salaries because Earned Academic Allowances (EAA) has been excluded from payment. According to him, Earned Academic Allowances “runs in the bloodstream of staff. Nobody wants to hear anything about salaries without those allowances”. Dr Ettah said Prof Anthony Owan Enoh, Vice Chancellor of the University, informed them that Earned Academic Allowances has been excluded from February’s salaries because of paucity of funds. According to him, the Vice Chancellor mentioned that his administration has spent huge sums of money in renovating students’ hostels and procuring seats for classrooms. He said the Vice Chancellor also disclosed that only 1,200 (one thousand two hundred) newly admitted students had paid school fees at the time of his meeting with leaders of staff unions. 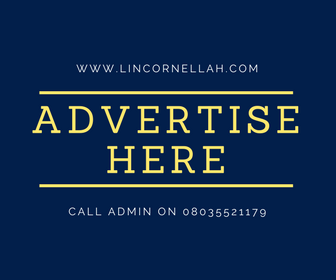 LinCornellah’s blog was informed that the university currently insists that all newly admitted students must pay full school fees during registration, while other students could pay in two installments, at most. More than 5,000 (five thousand) students were reportedly admitted into the university for the 2017/2018 academic session. Dr Ettah disclosed that his independent findings indicate that the number of newly admitted students who have paid the required school fees exceeds the figure given by the Vice Chancellor. He said although the university receives 215 million naira monthly as subvention from the Cross River State government to augment revenue from school fees, payment of salaries still remains a problem “because they keep employing”. He queried this trend and added that there is no justification for staff to bear the brunt of suffering “despite their patriotism”, each time it is reported that there is no money in the university. Dr Ettah also said that although the university’s Vice Chancellor eventually offered that at best, only one third of Earned Academic Allowances can be paid as part of February’s salaries, “ASUU would not collect incomplete salaries”. He added that ASUU has informed the University’s administration that beginning from April 2018, members of the union would be observing the principle of “work to rule” on the 3rd of every month, if the preceding month’s salaries have not been fully paid. According to him, “a hungry man is an angry man. When we start work to rule, students would start going home”. It would be recalled that in the last academic session, CRUTECH witnessed several interruptions in its academic calendar due to strike actions by staff. The latest of such strike actions by academic staff was in November 2017. At that time, part of the Union’s demands included refund of a debt owed to its Cooperative Society, payment of promotion arrears and payment of Earned Academic Allowances dating back to 2011. That strike action was suspended after the university administration agreed to commence payment of Earned Academic Allowances in January 2018. Indeed, the allowances were included in January’s salaries that reportedly got paid two days to the end of February. Although the government of Cross River State currently receives public acclaim for prompt and regular payment of salaries to its workforce, delayed payment of salaries is said to be a recurrent trend in its university. LinCornellah’s blog hopes to get and publish the university administration’s reaction to this development. I appreciate the information afforded me by this blog and hope to get more regarding CRUTECH. But, as a student of CRUTECH, I hope that whatever crisis that looms in CRUTECH which may result in any form of strike, should not surface, instead, it should me tackled while it looms. Because we’ve experienced enough crisis already, we’re not ready for any other. We sincerely hope that the issue would be amicably resolved.